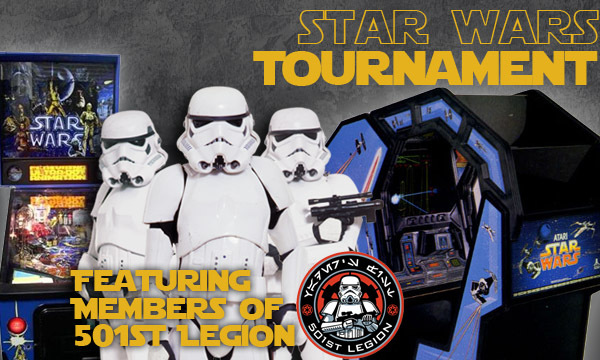 “May the Fourth be with you!” With today being international Star Wars Day, we thought it only fitting that we announce the tournaments we will be hosting during the Southern-Fried Gameroom Expo! On Saturday, June 21, we will have high score contest for both the Star Wars pinball machine by Data East and the classic Atari arcade game. We are pleased to offer both a kids division (13 and under) and an adult division for both machines. We’ll have plenty of prizes to hand out to the top scorers along with trophies for the two adult winners and medals for the top three scoring kids in each category! 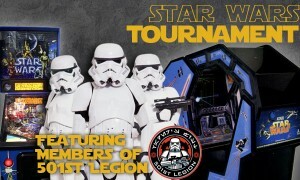 If that wasn’t enough, we’re proud to announce that we will have members of 501st Legion in full costume on hand for the event! Thanks to Michael Rich from Atlanta Arcade Collectors, Art Sumner, and Patrick Wall for allowing us to use their machines for this special event. Good luck, and may the fourth…errr…FORCE be with you!